I made this the other night for dinner, it wasn’t Friday but I felt good about it. 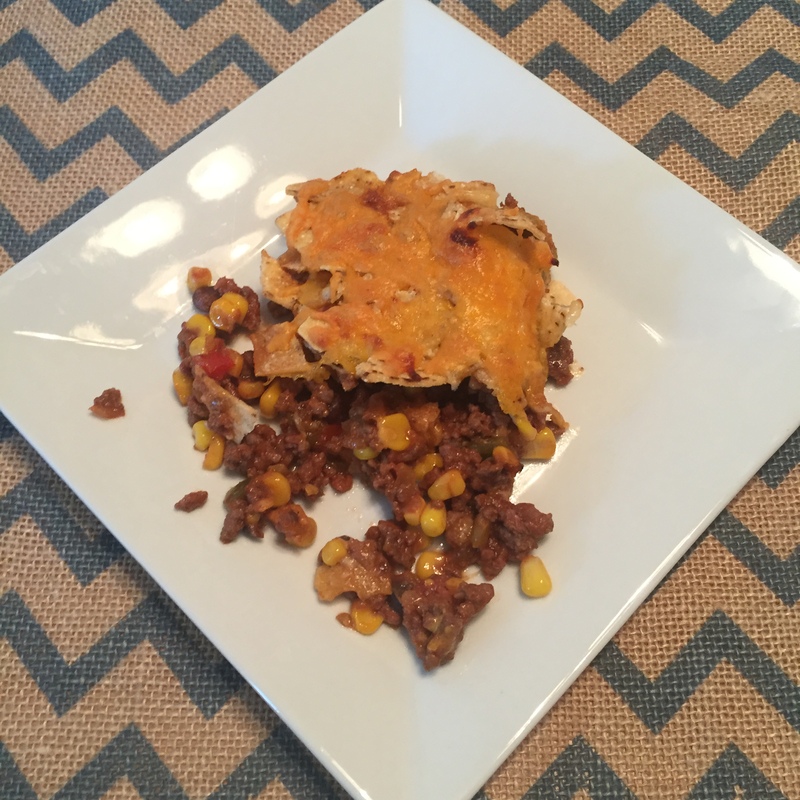 It’s a Betty Crocker recipe and was tasty and easy and, as almost always, I changed it up a bit so check the link for the original recipe. 1 Heat oven to 375. In large skillet, cook beef until juices run clear, strain grease if excessive. Add bag of veggies and cook for an additional 4 – 5 minutes until tender. 2 Add salsa and 1 1/2 cups cheese, stirring gently to combine. Spoon into ungreased 9 x 13″ baking dish. 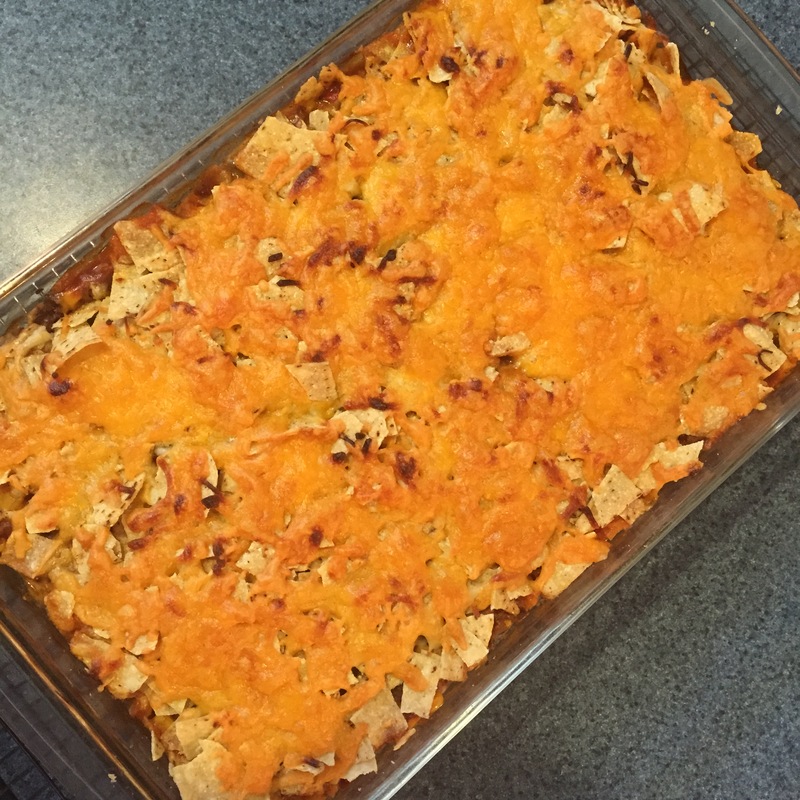 3 Crush tortilla chips over mixture in pan then sprinkle with remaining cheese. 4 Bake uncovered 25 – 30 minutes or until heated through. Let stand 5 minutes before serving. Top with desired toppings.